The replacement for the 3-series coupe, now called the 4-series has just been leaked onto the internets. 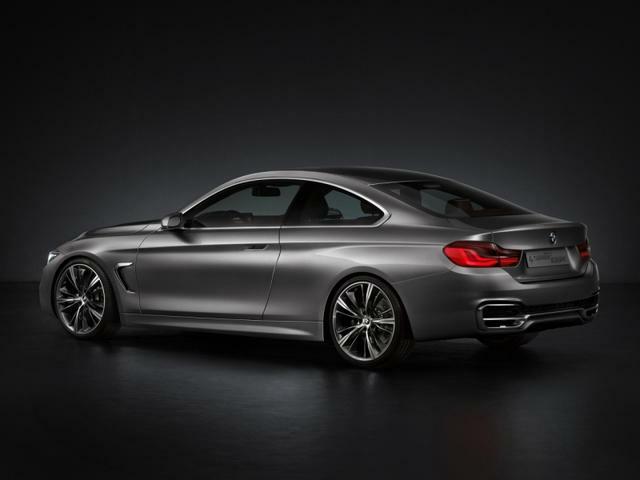 The coupe draws on styling cues from the recently redesigned 3-series sedan, but adds a lot more aggressive lines, not to mention a more unique tail light design as well as long, wide exhaust tips. There are also gills on the front fenders (borrowed from the restyled 6-series) and the nose is more pointed. There are also unique wheels and of course hidden door handles. The car’s wheelbase is is 2 inches longer than the outgoing 3-series coupe, the track is 1.8 inches wider in the front and 3.2 inches wider in the rear not to mention that the entire vehicle is also lower. Like most of BMW’s ‘concepts’ this car is very close to what the production model will look like. Expect a cabriolet and M4 version to follow suit once production get underway for the coupe, which should be in the spring. This concept will officially bow at the Detroit Auto Show in January where more specs are expected to be revealed. Stay tuned. In the meantime, click past the jump for more pics. Are BMW’s M-Powered SUV’s Worth It?